Selling behemoth stuffed burgers out of the back of a Niagara Falls bar since 2016, Rock Burger will officially add its own space on Feb. 4. Owner Jason Lizardo will open the second location at 8529 Niagara Falls Blvd., Niagara Falls, less than a mile southeast of the Fashion Outlets. Family Video, which shares the same building with the new Rock Burger, will offer a free movie rental in collaboration with the restaurant's opening. City of Niagara Falls officials will be on hand for a ribbon cutting on the first day of business, which runs from 11 a.m. to 10 p.m. Although there's no alcohol at the new Rock Burger, Lizardo has added milkshakes - in vanilla, chocolate, Nutella, Reese's and Oreo flavors - as well as gluten-free buns. 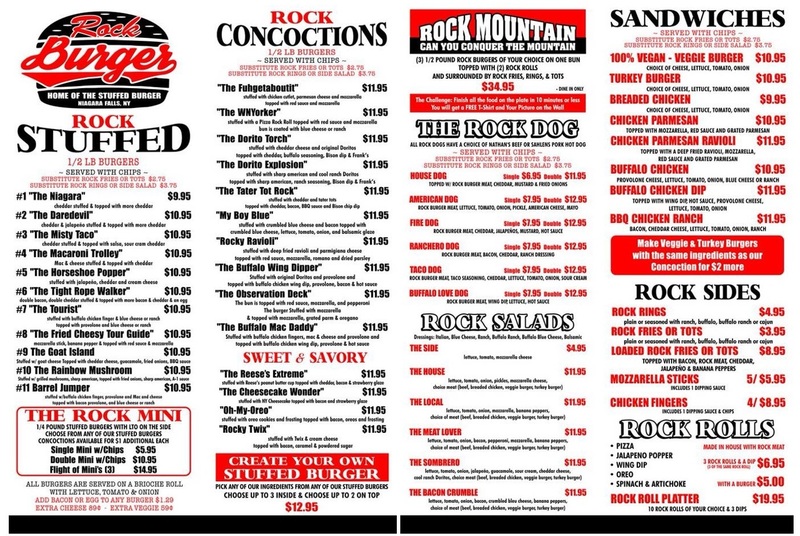 Many of the specials from the original Rock Burger - like an assortment of deep-fried Rock Rolls - have made the trek to the regular menu for the new location. See a draft, below. 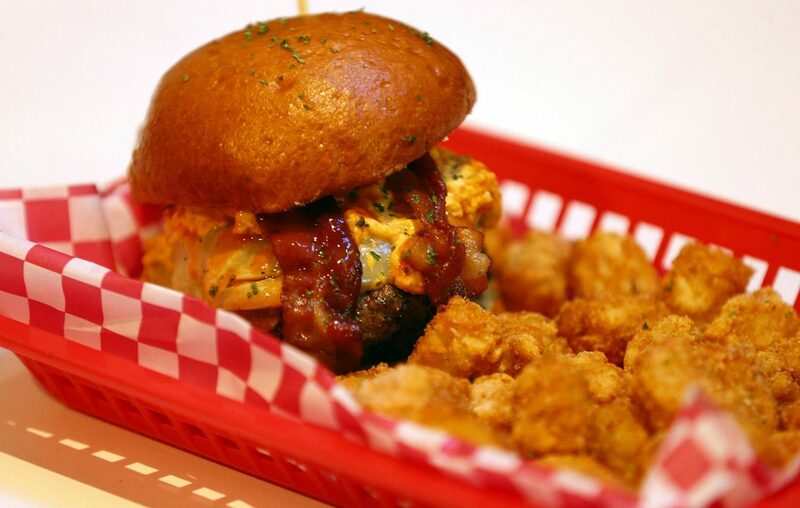 Among the unusual stuffings for his burgers are Doritos, cream cheese, deep-fried pierogi, mozzarella sticks and macaroni and cheese. Read about which ones stood out in our Cheap Eats here. Rock replaces Marco's Pizza in the space. INFO: Rock Burger, 8529 Niagara Falls Blvd., Niagara Falls. 299-0395. 11 a.m. to 10 p.m. daily. Original location is at 328 Niagara St., Niagara Falls, in the rear of Players Lounge. It will remain open.